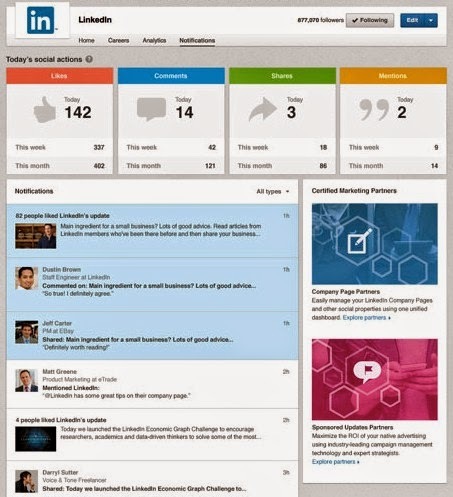 amk: LinkedIn: Introduced "Notification Center" for Company Pages! Get an aggregated overview of how many likes, comments, and shares you’ve received on Company Page updates and how often your company has been mentioned by LinkedIn members on the platform. View every publicly shared mention of your company on LinkedIn. See all of the most recent likes, comments and shares your company has received in a single view. Comment and like as a company representative in response to mentions about your company. Let me know in comments or tweets if you guys need to know anything!